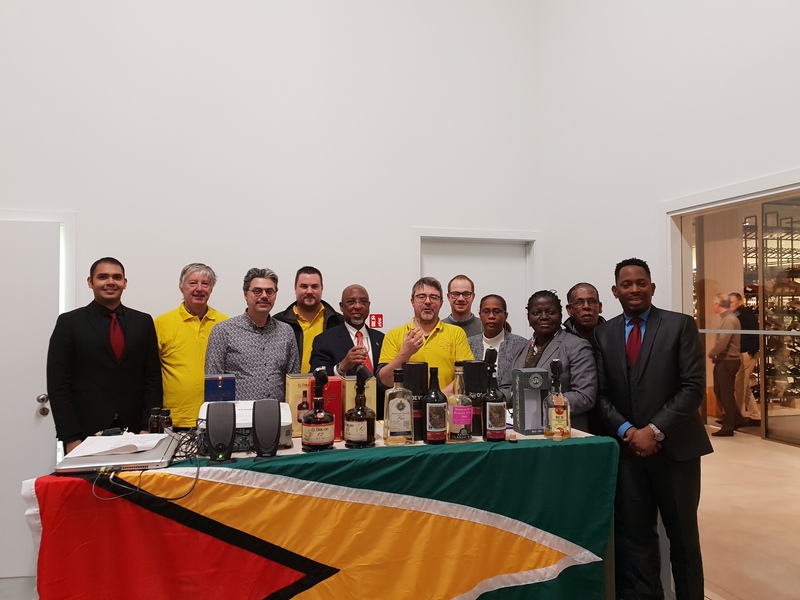 The Ambassador and Staff of the Embassy of the Cooperative Republic to Guyana to the Kingdom of Belgium were guests at a local ‘rum runners’ Club in Belgium. 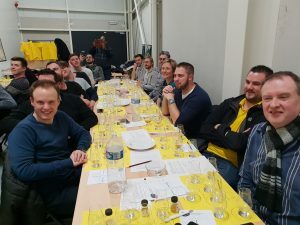 The group of rum enthusiasts meets every quarter and participates in a rum tasting event sampling sprits from around the world. 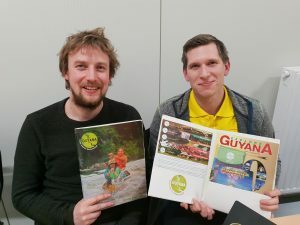 Rum from Guyana was featured in the first quarter of 2019. Stijn Hiers, a Sprits Writer, is the Group’s organiser. He said Guyana’s rum is becoming increasingly popular across Europe. ‘Most people know rum from Barbados and Jamaica but the real rum lovers prefer rum from Guyana. This is because most of the rum from independent bottlers in Guyana is unsweetened and is genuine and has natural flavours. Secondly, because of the history there is some kind of mythical haze around those closed distilleries and even the idea that you can drink rum produced in a still that is over 200 years old is just remarkable, Hiers emphasised. He also noted that Guyana needs to do more to document and preserve the history of Guyana’s rum industry. Duncan Taylor and Bristol are two (2) Scottish bottlers that bottle rum from Guyana which is then distributed across Europe. Hiers explained that rums that are bottled in Europe are generally not resold in the Caribbean. Hiers said ‘you have rums which are distilled, matured, and bottled in Guyana and then you have independent bottlers. What they do is purchase casks of rum from Guyana, transfer them to Europe, have them mature further in Europe and then bottle under their own label. ‘When you mature rum in Guyana the temperature is very high so there is evaporation and the volume of the cask drops, but the flavours get very concentrated. Unlike when the rum is matured in Europe you have the reverse. The volume does not drop only the alcohol evaporates’, the Sprits Writer explained. In his remarks to the gathering Guyana’s Envoy to the Kingdom of Belgium, Ambassador David Hales said that it was important to have Guyana’s premier rum on display. He said that Guyana was also more than a rum-producing nation but is fast becoming an eco-tourism destination. Prior to the rum tasting, First Secretary Lloyd Gunraj made a presentation on the history of rum production in Guyana and also an overview of Guyana, its history, economy, its peoples and its tourism potential.